In a recent significant personal injury decision, the UK Supreme Court has dismissed an appeal by insurance companies in respect of asbestos injury claims. Upholding previous judgments, the Court confirmed that the ‘liability trigger’ under employers’ liability insurance for asbestos claims is when the employee is wrongfully exposed to asbestos, not at the moment when the disease subsequently manifests in the employee’s body. The decision clarifies that insurers may have to compensate employees of companies for asbestos-related diseases ‘contracted’ during a particular policy period e.g. when still in employment, rather than after the employment when the disease has manifested itself (which can sometimes be in excess of 40 years later). (i) First, what was the correct construction of the terms ‘sustained’ or ‘contracted’ in respect of the employers’ liability policies? The decision is welcome news for thousands of mesothelioma victims in the UK, providing them with greater legal certainty in their insurance claims. Expert personal injury lawyer Helen Ashton from Irwin Mitchell, who represented the lead claimant in the case, said “This long awaited judgment provides clarity, consistency and comfort for mesothelioma victims and their families. 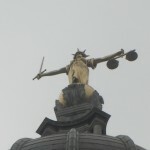 As well as the people currently directly affected by asbestos related disease, this judgment means that the thousands of people who are yet to be given the devastating news that they have the deadly illness will at least know that their families can get access to justice and receive the financial security they need. “But the sad fact is that many victims of mesothelioma who have been awaiting the outcome of this appeal may not have lived long enough to know if their families will now receive the compensation they deserve. “Asbestos related disease is the biggest killer in the workplace in Britain, causing more than 5,000 deaths every year. The number of people affected by mesothelioma is still rising and because of the time it can take for this illness to develop it is expected to peak around 2015. Irwin Mitchell is one of the UK’s most successful and respected law firms with a national network of offices and an approachable, customer friendly outlook. A visit to the Irwin Mitchell website will give you access to a number of ways to contact the firm. You may wish to fill in the less personal online form if you feel more sensitive about the details and prospects of your case, or you may wish to contact Irwin Mitchell directly by telephone. The online form allows you to input some basic details regarding your enquiry and the means by which you wish Irwin Mitchell to contact, whether by text, email or post. It’s easy to dwell on Irwin Mitchell’s focus on innovation but equally as important is their long heritage in a field which is ever changing but with ever-present undercurrents: the law. Their experience and adaptability puts them in a prime position to lead the field. Irwin Mitchell is the 5th largest litigation practice in the UK and is ranked 21st of the UK’s top firms: Impressively reassuring credentials for any prospective client. They have offices throughout the UK and in Spain and emphasise their knowledge of the globalised nature of modern business and modern man. Much litigation is now cross-border and the need for knowledge that spans various jurisdictions is vital. Their International Travel Litigation Group is the largest body of cross-border lawyers in Europe. Irwin Mitchell is the proud partner of a multi national clientele. Whether you’re an individual or a business seeking legal advice, Irwin Mitchell can deliver the same high level service on topics such as holiday accident claims, road traffic accidents, accidents at work or asbestos claims.